The hard bends in the stock hose always end up cracking and leaking, but since the water pump thermostat assembly is tucked up above the subframe, it can be difficult to pinpoint the leak. 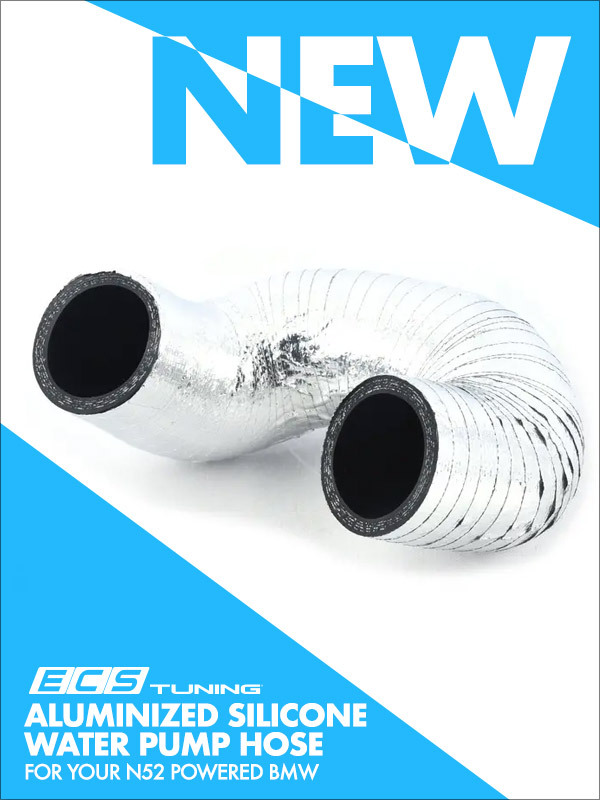 When you upgrade your OE rubber hose to the ECS aluminized silicone hose, you don't just get a longer lasting, more flexible hose, but also one that's better suited to withstand high underhood temperatures. We use silicone because of its more pliable nature as well as its resistance to heat. The next step was wrapping it with aluminum to offer further protection from the exhaust system.